ALL THAT GLITTERS: THE SALLY HANSEN COLOR THERAPY ENCHANTING GEMS COLLECTION FEATURES LIMITED EDITION GORGEOUS GEMSTONE HUES THAT CARE WHILE YOU WEAR! Sally Hansen’s Color Therapy nail polish blends saturated color with nourishing argan oil in 6 new, elegant jewel tones. Stone cold stunning! Inspired by multi-faceted luxurious gemstones, the Sally Hansen Color Therapy range introduces 6 new opulent shades designed to elevate every autumn look. 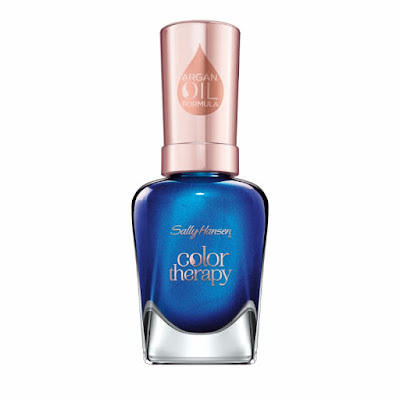 Sally Hansen’s Color Therapy nail polish contains a patented micro-delivery system that delivers an argan oil enhancing formula, resulting in intensive nourishment and instant moisture for healthier-looking nails. The Color Therapy nail polish needs no base coat so the oil complex can directly contact the bare nail. 9 out of 10 women experienced a noticeable improvement in their natural nails after wearing the Color Therapy nail polish. The polish glides on for a radiant, shiny finish with up to 10 days of fade-proof, chip-resistant wear. The Color Therapy nail polish provides the ultimate rich color that cares while you wear, with everything needed to help restore nails without sacrificing luminous, pigmented hues. 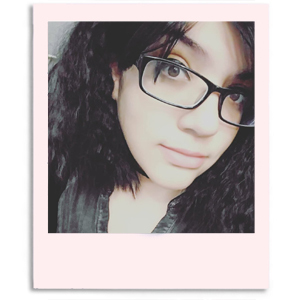 I found Smoky Emerald and it is beautiful. I can't wait to find the others. That blue sapphire color is calling to me along with that pink one.